Fisher-Price Batman Lil' Quad Just $56.10! Down From $95! PLUS FREE Shipping! You are here: Home / Great Deals / Amazon Deals / Fisher-Price Batman Lil’ Quad Just $56.10! Down From $95! PLUS FREE Shipping! Fisher-Price Batman Lil’ Quad Just $56.10! Down From $95! PLUS FREE Shipping! Hop over to Amazon where you can score the Fisher-Price Batman Lil’ Quad for just $56.10 down from $94.99 PLUS FREE shipping! 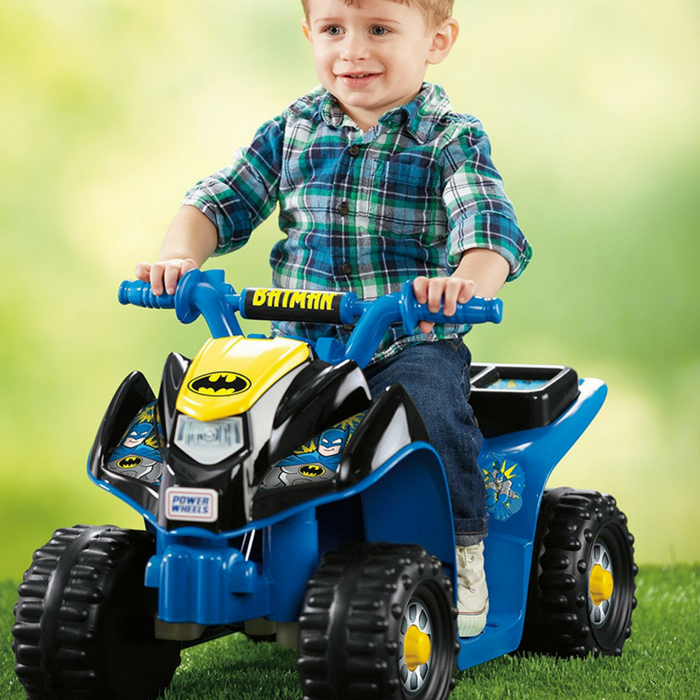 The Power Wheels Batman Lil’ Quad vehicle puts kids in the driver’s seat of exciting ATV adventures, whether they’re cruising the sidewalks of Gotham City or off to save the day in their own backyard! This Power Wheels Lil’ Quad vehicle is designed for the very littlest 4-wheelers with cool Batman colors and graphics, toddler-friendly features and rugged styling that will make your child’s first ride an awesome one. There’s even a secret storage compartment to stow crime-fighting gear! Great for a Christmas present!